Home and business owners understand the importance of having working hot water on their property. That's why Robo Plumbing offers a range of water heater services, including water heater repair and installation. We take the time needed to provide an accurate diagnosis of your water heater problem to offer the right fix for the job. We also provide replacement services for the customer when the water heater cannot be repaired. If you are experiencing water heater leaks or have no hot water running in your home, call your professional Bakersfield plumbing company, Robo Plumbing, to get your hot water running as fast as possible. We also offer tankless water heater upgrades for those interested in upgrading their gas water heaters. 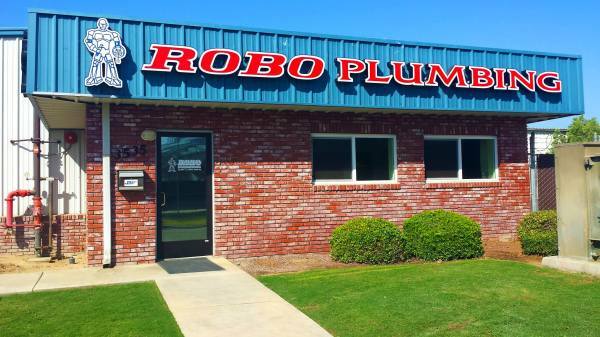 We know that water heaters are expensive, that's why you should rely on professional Bakersfield plumbers who will save you money and get the job right the first time, call Robo Plumbing today! Interested in Water Heater Services?